Students of Rawalpindi took the examinations of 5th class conducted by the Punjab Examination Commission. PEC has 9 boards under its supervision one of which is Rawalpindi Board. This board helps PEC by making sure that the organization, commencement and control of 5th class examinations. BISE Rawalpindi Board 5th Class Result 2019 will soon be declared on 31st March, 2019. We know you must be impatiently waiting for your results so keep on visiting our site for updates. Since the establishment of PEC it has been declaring the results of primary and middle level classes in March every year. And this year the 5th Class Result 2019 is coming on 31st of March. Rawalpindi board has many other districts under its wing. The result of 5th class student of those districts are also waiting for the result, the names of the districts are District Attock, District Chakwal and District Jhelum. There is not much time before the results are revealed to the public. It is very stressful for the young children of 5th class. Our site always brings you the results of every class across the various boards in Pakistan. 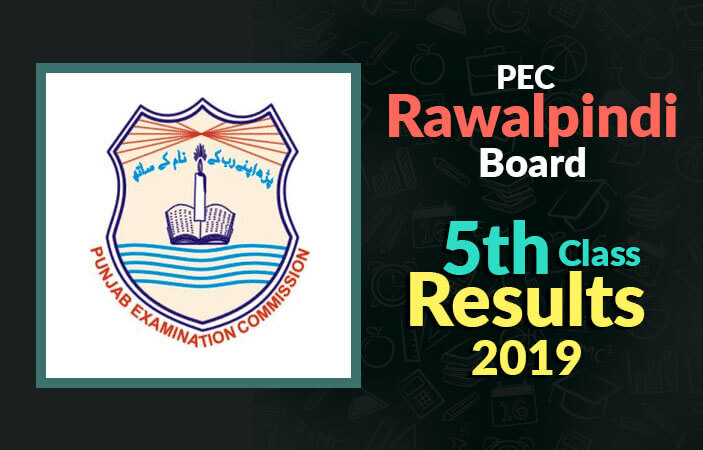 BeEducated will upload the 5th Class BISE Rawalpindi Board 2019 as early as it is posted by the Punjab Examination Commission. You can look for past results of other classes like 8th till 12th. Get your result from this site by giving your roll number on this site’s result page and we will provide you with your result before you can blink your eyes. The results we provide are error free so don’t worry about anything and keep on visiting our site for more information on your results.